TEAMM, and a sister project, MatEdU, aka MaterialsEducation.org are both part of a larger project funded by the Advanced Technological Education Program of the National Science Foundation. Both are committed to increasing understanding and usage of materials in various educational areas. MatEdU, for example, has a large database of curriculum to serve educators for almost all ages. Each project has strong partners seeking to foster growth and opportunity to help students (and their teachers) to expand their knowledge and skills within materials science and additive manufacturing. Note: If you head to the MaterialsEducation page for Educators, you will find core competencies outlined and can search for curriculum modules for free use in the classroom. TEAMM also has a Modules page that is smaller than MatEdU, but growing! Tooling U, the training and development division of SME (Society of Manufacturing Engineers), is an active TEAMM Network member and this month we are profiling a tiny slice of their work here on the AM News page. You can see the full list of courses that focus on Additive Manufacturing, but there is an extensive library of over 500 classes. They offer a free trial to allow you to sample at least part of one class. 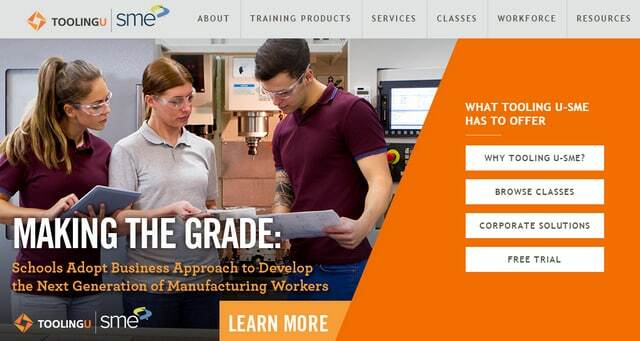 You can also download the Tooling U Course Catalog in PDF here. This class introduces users to additive manufacturing (AM) processes by outlining the history of AM, describing AM technology, and exploring current and future additive manufacturing applications. Additive Manufacturing Safety describes how users can protect themselves against common mechanical, electrical, thermal, and airborne hazards associated with AM processes. This class also provides an overview of personal protective equipment (PPE), lockout/tagout procedures, Hazard Communication Standards (HCS), and Safety Data Sheets (SDS). Additive Manufacturing Materials Science provides a comprehensive overview of the materials that can be used with additive manufacturing (AM) processes. AM materials include a variety of polymers, metals, composites, and ceramics. Each material is distinguished from another material by microstructure, mechanical and physical properties, and life cycle. Different AM processes require the use of different AM materials. Therefore, an individual must understand materials’ science to ensure proper material selection. Understanding the materials that are compatible with additive manufacturing processes is an essential part of AM process success. After completing this class, users will not only be able to distinguish between thermoplastic and thermoset polymers, ferrous metals and nonferrous alloys, and ceramic and composite materials, but users will also be able to determine which material type is most appropriate for use with a specific AM process. TEAMM is proud to have Tooling U as one of its dedicated partners. They continue to lead out in traditional manufacturing and new technologies, such as, Additive Manufacturing. It’s parent, SME, organizes the well-known and well-respected RAPID + TCT Event each year, and we have a brief summary of our visit to that show last month: 3D Printing Continues $6 Billion Strong Growth.